• To provide a space for sharing best practices among youth organizations in Africa-Europe. • To set-up the bases for a street campaigning network active on both continents. • To increase the level of innovation, professionalism and creativity in youth work field. • To stimulate long term involvement of beneficiaries youth organizations in international (and intercontinental) projects. • To stimulate mobility of youth workers between and within continents. • To develop strong pro-active attitudes towards social exclusion and global issues among the beneficiaries, and to increase the knowledge level of young people and youth workers in topics like: global interdependencies, climate change, sustainable life style, consumerism, social and global justice, social exclusion, etc. • To motivate all the beneficiaries to act as responsible active global citizens in their daily life. - Kick-off meeting, in Tanzania. 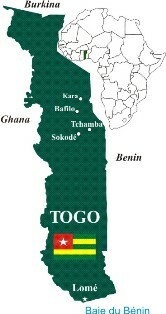 - First training on street campaigning, in Togo. - Street campaigning on a topic relevant for each community. - Second training for assessment of first street campaign and advance competencies, in Romania. - Second edition of the street campaign. - Final evaluation meeting, in Madeira. - Local dissemination and follow-up activities.